Home › Uncategorized › Nova Takes "A Walk to Beautiful"
Nova Takes "A Walk to Beautiful"
The episode is actually a shortened version of an award-winning, feature length documentary. Yet, without even knowing that this is approximately 30 minutes shorter than the full-length version of the documentary, one can sense that there are bits and pieces missing. “A Walk to Beautiful” eschews the standard Nova-style narration, and while not all documentaries need a “voice of god” narrator, this one certainly could use some more direction than it has. 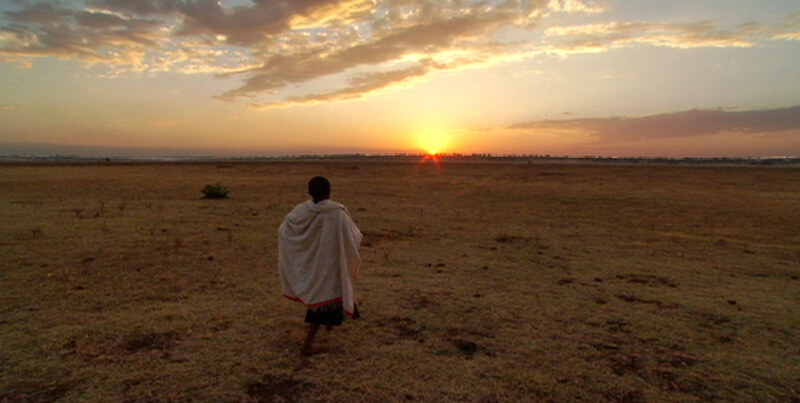 The documentary begins by plopping the viewer down in a village in Ethiopia, miles from the nearest road, where a woman, Ayehu, explains that she has ended up with a medical problem after giving birth to a stillborn child. As she explains, liquid now runs out of her uncontrollably. She has been ostracized by her husband, family, and village due to the problem. She's even been forced to live in a straw hut of her own creation attached to the back of her family's home. A medically trained person will be well aware that what the woman has is a fistula. A person familiar with Ethiopian culture would know that these sorts of fistulas are apparently prevalent in Ethiopia due to the lack of food and the fact that women marry and then bear children young. They might also know that the straw hut we see is attached to a slightly larger hut that appears to be made of clay and wood (at least from the oblique angles we see of it). Plus, they might be able to identify where one hut ends and the other begins without a nice establishing shot. However, anyone watching the documentary who doesn't know these things beforehand will be playing catch-up for the next 15 or 20 minutes. And that is problematic. The episode goes on to show how Ayehu and many like her make their way to Addis Ababa to be treated at a hospital that specializes in fistula repair. The full-length documentary goes into the lives of five different women at the hospital, but the shortened Nova version only discusses three. The point, however, is made. The people at the hospital do good things for a terribly underserved segment of the population. They can't treat enough people, but they do their best to help the women, not just with their medical problems, but with the social ones they face as well. The documentary does not discuss whether anything is being done to stop the problem before it starts, or whether an effort to educate people as to the cause of the fistulas and thereby prevent the ostracization of victims is taking place. It's an important and relevant question and while not directly asked by the documentary is certainly raised by what is discussed. Nova's “A Walk to Beautiful” is a piece that opens one's eyes to a serious issue. It is at times distressing and at others heartwarming. However, nearly a third of the piece passes by before the issue becomes clear enough. Not all documentaries need a narrator or an introduction before they truly get going. This one, however, does. Nova – “A Walk to Beautiful” airs Tuesday, May 13 at 8pm, but check your local listings anyway.